Andreas Johnsson scored twice during a four-goal Toronto outburst in the second period, and the Maple Leafs went on to defeat the visiting Edmonton Oilers 6-2 Wednesday night. Mitch Marner added a goal and two assists while Patrick Marleau, William Nylander and John Tavares each had a goal and an assist for the Maple Leafs, who have won three straight. 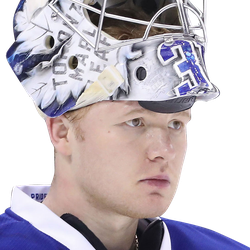 Toronto goaltender Frederik Andersen made 34 saves. Leon Draisaitl and Ryan Nugent-Hopkins scored for the Oilers, who are 3-9-4 in their past 16 games. Darnell Nurse added two assists. The Oilers scored on a power play at 11:06 of the first period as Draisaitl netted his 39th goal of the season. He carried the puck from the neutral zone, beat two defensemen and slid in a backhand on his own rebound. Connor McDavid, returning from a two-game suspension, and Nurse earned the assists. Marleau tied the game with his 14th this season, stuffing in a loose puck at 18:02 of the first, five seconds after a slashing penalty to Alex Chiasson had expired. The Maple Leafs scored twice within 1:17 early in the second period. Marner scored his 22nd, redirecting Zach Hyman's pass at 1:09. Johnsson tapped in a pass from Kasperi Kapanen at 2:26 after Auston Matthews pounced on a neutral-zone turnover. The Maple Leafs led 4-1 at 4:50 on Nylander's fifth goal, shot at a sharp angle from the lower right circle on a pass from Tyler Ennis. Nurse was off for slashing. 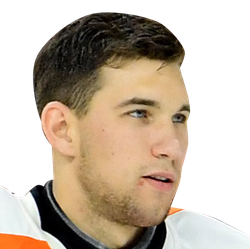 Anthony Stolarz then replaced Mikko Koskinen in Edmonton's goal. Koskinen allowed four goals on 16 shots and Stolarz yielded two goals on 20 shots. Johnsson scored his 19th this season from the high slot at 8:09 of the second with Colby Cave off for interference. Tavares scored his 36th this season 25 seconds into the third period from the left circle when Toronto had a two-man advantage. Draisaitl (high sticking) and Matt Benning (cross-checking) were serving penalties. Nugent-Hopkins knocked in his 20th this season from a scramble at 16:06 of the third. The Maple Leafs were without Jake Gardiner (back) and Nazem Kadri (concussion).